It’s been quite some time since we last saw the Nike Free Woven 4.0, since last September to be exact, but now it looks like the Swoosh is back to customizing the silhouette with a number of new features for your purchasing pleasure. 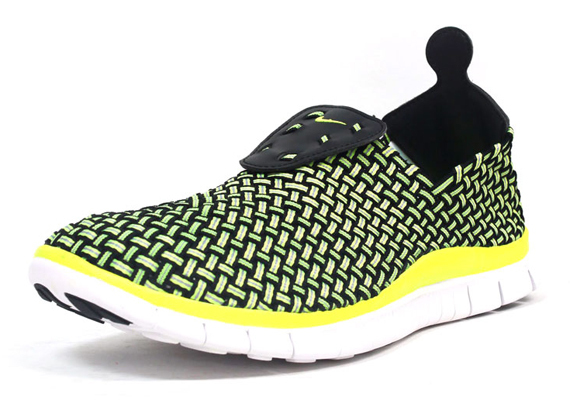 This pair sports the new-aged Volt and Black scheme so familiar to new Nike releases while the woven upper gets a dash of 3M reminiscent of the whole Jordan Future movement. Add in a yellow midsole and the only thing subtle about this pair is the white free outsole. What do you think? Be sure to stick around after the click for more from this Nike Free Woven 4.0 and stick with Sneaker News for all your upcoming release date updates.